Chess960, also called Fischer Random Chess is characterized by random starting setting of pieces on the back ranks. This encourages creative openings, downplaying the element of “chess science” and memorization. This championship, held in at Høvikodden outside Oslo, Norway, from 9 to 13 February, was the first notable Fischer Random event since 2009. With both GMs determined to win, games were very interesting and action-packed. Magnus Carlsen won the championship for a prize of almost $200,000 with a total score of 14 – 10. After Day 1 the match was tied, with two draws. Carlsen took the lead at the end of second day. The third day was also a success for Carlsen, who won both games as black. However, on Day 4 Carlsen lost on time in game eight in a bizarre way. He had a rook and a bishop against Nakamura’s rook, but overstepped the time limit. Nevertheless, Carlsen was still leading by two points at the end of the day. Both players started with opening up their bishops and blocking the opponent’s bishops in what resembled the Stonewall. 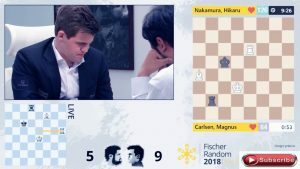 The game becomes exciting at move 14, when Nakamura castled into Carlsen’s attack. 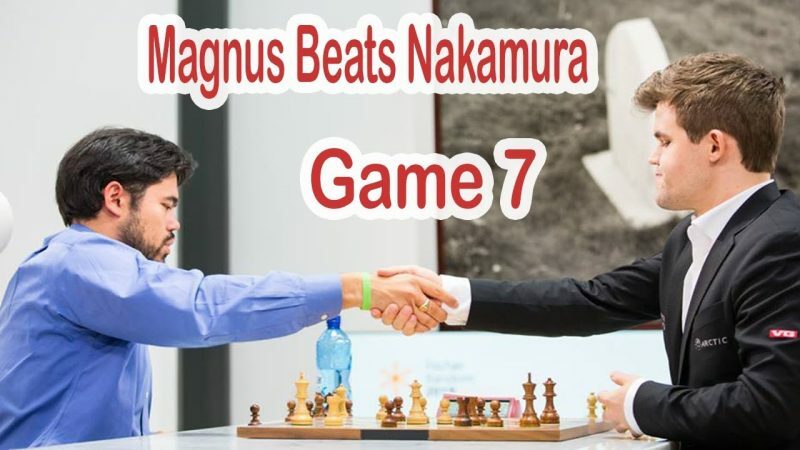 The game was excellent until Nakamura blundered on move 23, allowing Carlsen to trap his queen, after which the game ended abruptly. Carlsen opened 2018 with great success winning the Tata Steel Chess Tournament in January. It’s only February and he already has a second title under his belt.